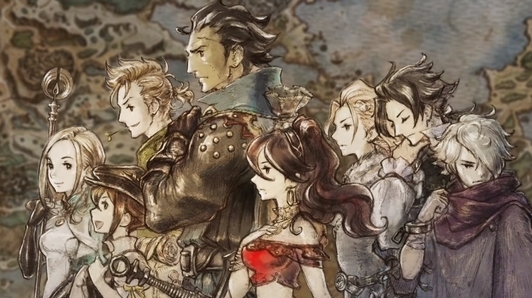 Octopath Traveler fans are having quite a day: along with celebrating 1.5m units shipped globally, Square Enix has announced a brand new game for the series, while there’s talk of another Octopath Traveler console game. Let’s start at the beginning – or rather, even before that. The first of the new games is a prequel called Octopath Traveler: Champions of the Continent. The free-to-download title will release on iOS and Android in 2019 (in Japan, at least). The game’s Japanese website explains it’s set in Orsterra, allows users a choice of story between three “reigning champions”, and features eight-character party command-based battles (thanks, Gematsu). Meanwhile, there’s also talk of another Octopath Traveler game for console. Square Enix’s Tomoya Asano previously mentioned the possibility of a sequel in an interview with Famitsu back in September (via RPG Site), although it sounds like players will be waiting a fair while for this. While you wait for further news of the console game and Champions of the Continent’s release, you can pre-register for the latter over here.